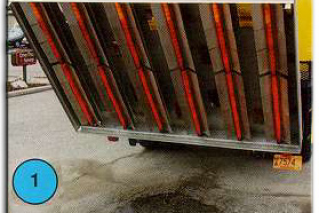 Infrared heating unit is lowered to within 6" of the pavement. 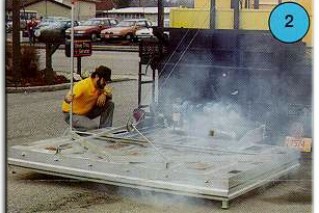 Infrared heat penetrates the existing asphalt approximately 2". 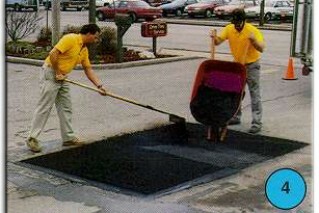 Having heated the area to be repaired,softened asphalt is raked and cleared of impurities. 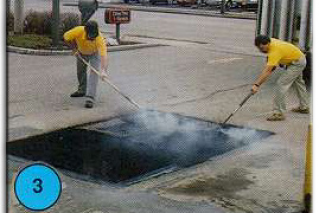 Hot asphalt is added to and blended with the original asphalt. 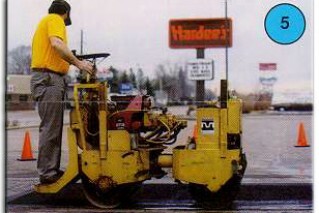 Edges are rolled to bond the new asphalt with the original asphalt.Entire area is then compacted. 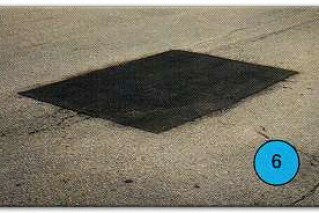 The repair becomes a seamless part of the original asphalt.